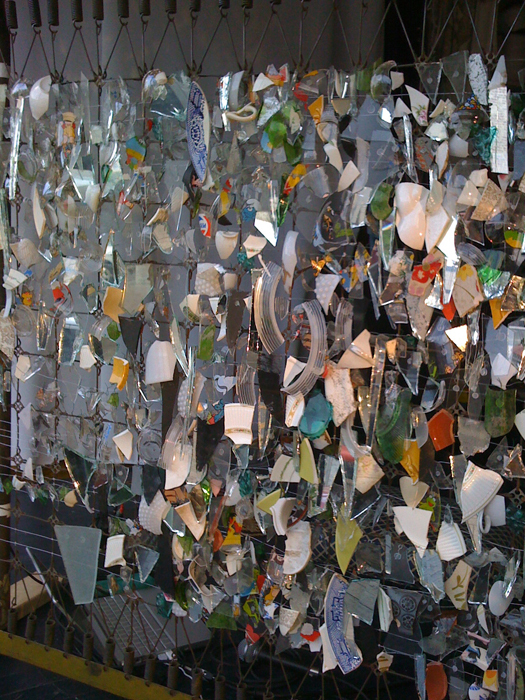 A collaborative sculpture and musical/video instrument created in collaboration with Angeles Cossio while artist-in-residence at Elsewhere Artist Collaborative in Greensboro, North Carolina, USA. 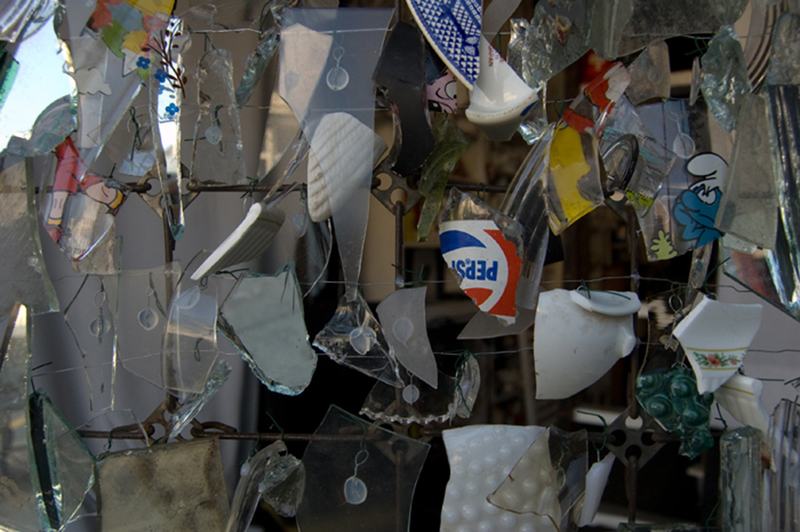 A former thrift store, Elsewhere invites artists to create projects from the objects in the store, but nothing can leave. This includes things like cups, mugs, and plates which are in regular use for eating — when one breaks, it cannot be thrown away. The pieces are instead kept in a large bucket. 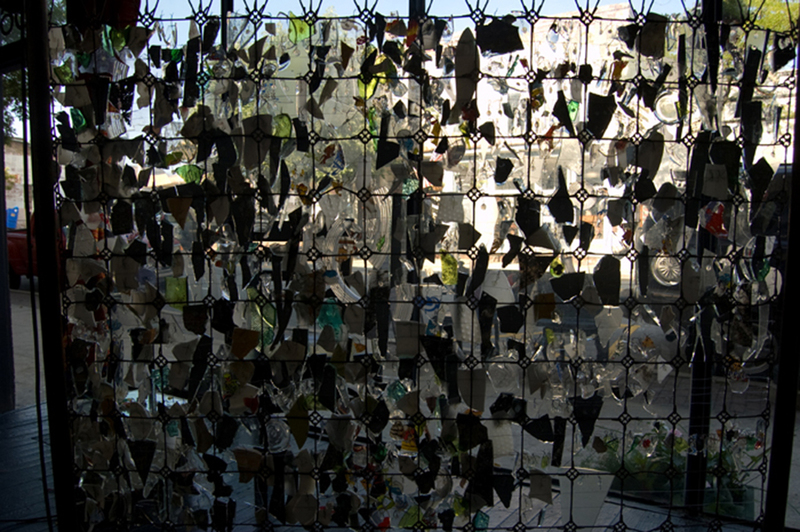 Partly as a service to use these otherwise ignored pieces, hundreds of pieces of broken glass and ceramic were hung from a modified bed frame using wire loops and thread. The pieces hang loosely from the frame, which is miked with contact microphones. 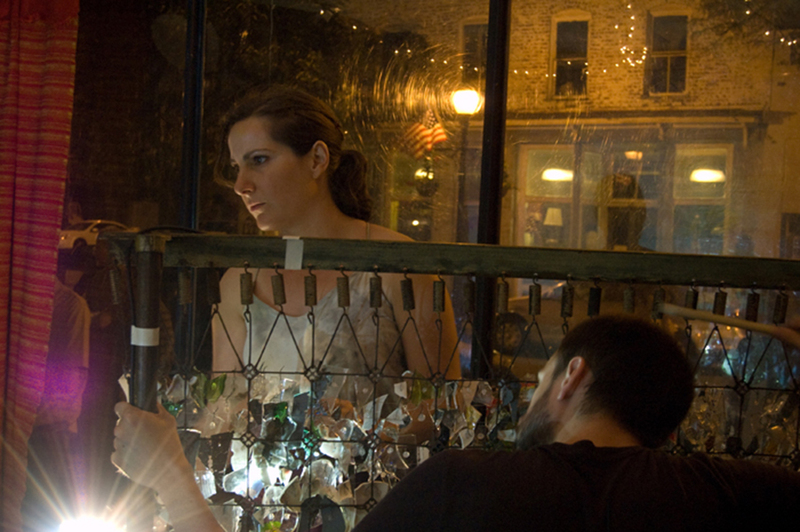 The instrument was used for a 2-hour live audio-visual performance in the front window of the building. 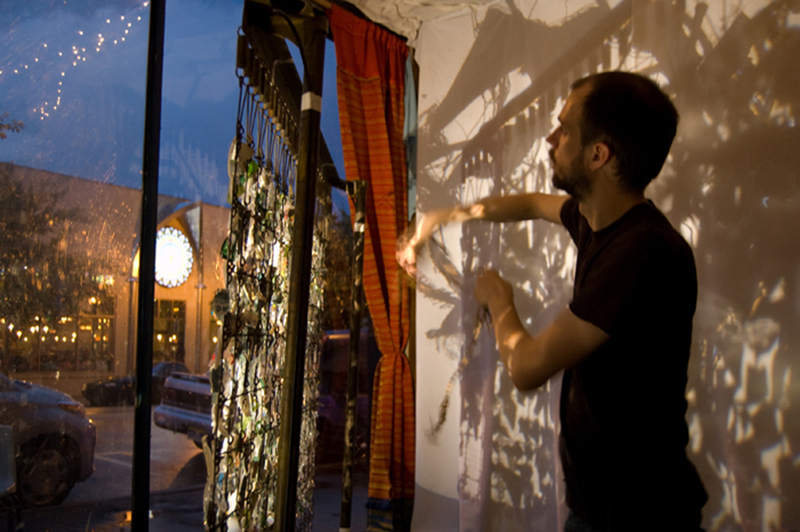 An overhead projector was also used with bits of cast-off fabric and thread, also remnants that could not be thrown away, to create changing patterns on the wall. Custom software, created in Max/MSP/Jitter, allowed for dense looping and layering of live sound. Very special thank you to all the interns at Elsewhere who helped glue and tie pieces!